A day late, and having just crunched my way down to town and back to stock up on sewing supplies, I finally have chance for this week’s post. A cold and Christmassy seven days, into which I packed lots of eating, drinking and visiting, plus just a little bit of sewing. Find out how you can take part in Sunday Sevens in 2015 here. 1. My grandad is now 94 and quite unwell. My uncle has done lots of research into our family history (my maiden name was Disney) and he emailed this Christmas card last week. 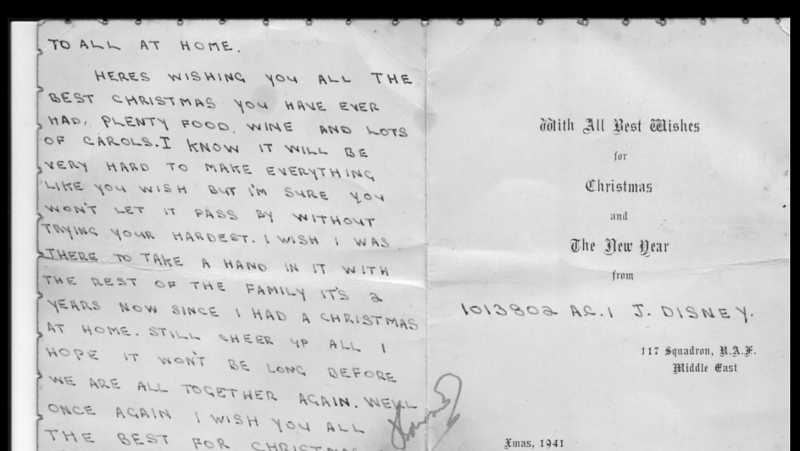 My grandad was 21 when he sent it. 2. Inspired by Nigella, I made an Italian style dessert, which included copious amounts of panettone, Marsala and marscapone. 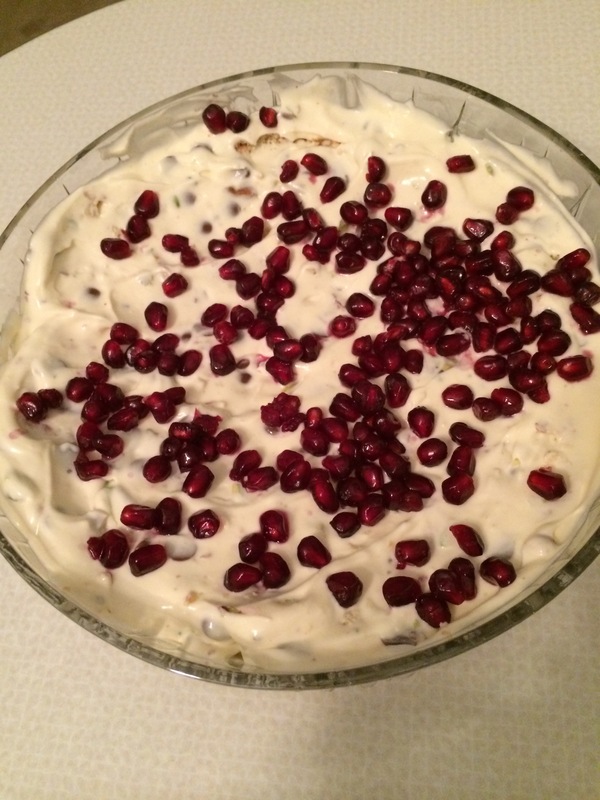 This was pudding on Christmas Day, and for several days after. 3. 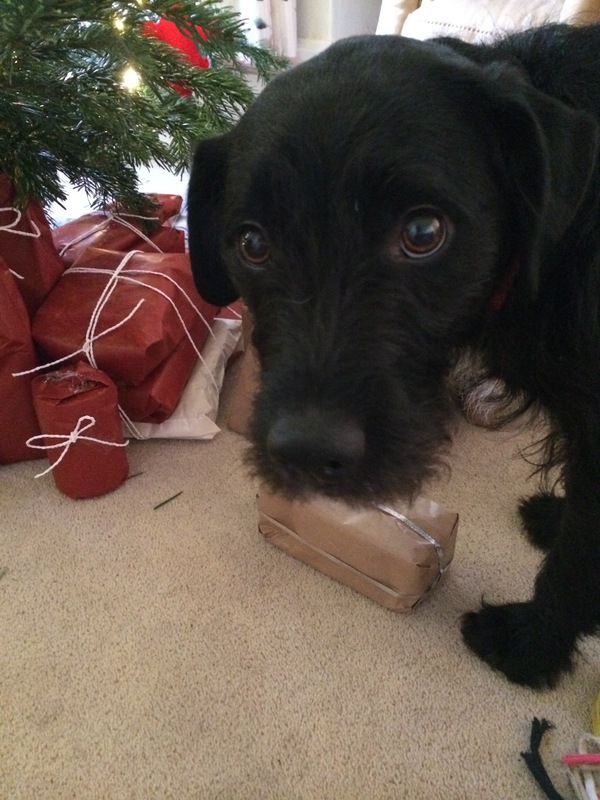 Wilfie took it upon himself to ‘guard’ one of the Christmas gifts under the tree. 4. 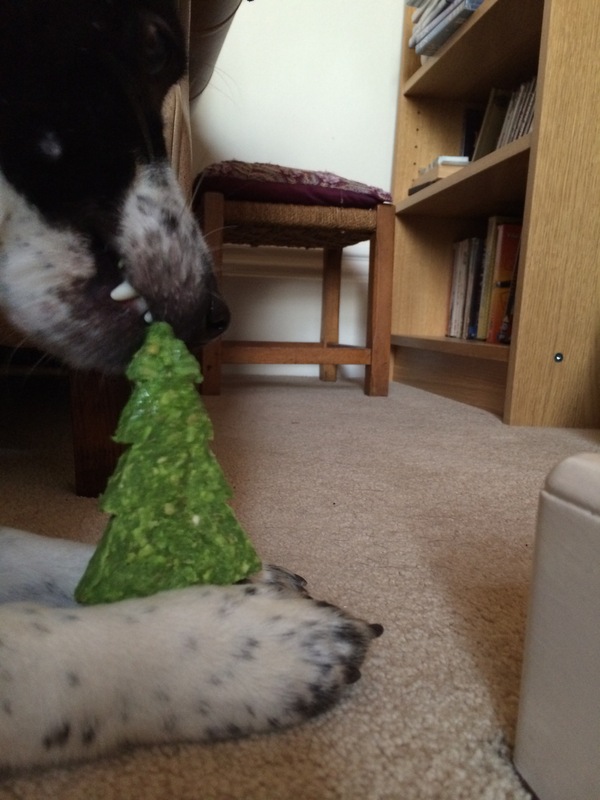 Whilst Oliver enjoyed his very own Christmas tree. 5. 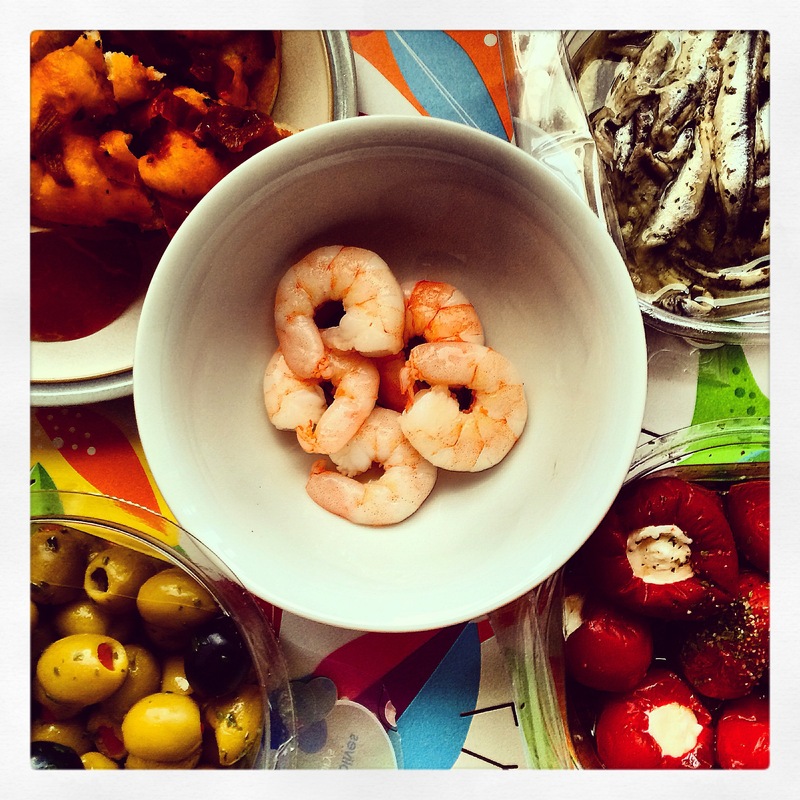 Opted for easy (yet delicious) Christmas Day starters this year. 6. It snowed! Quite a lot! There wasn’t much (any?) snow last winter so it was the first time the dogs had experienced it, with us at least. 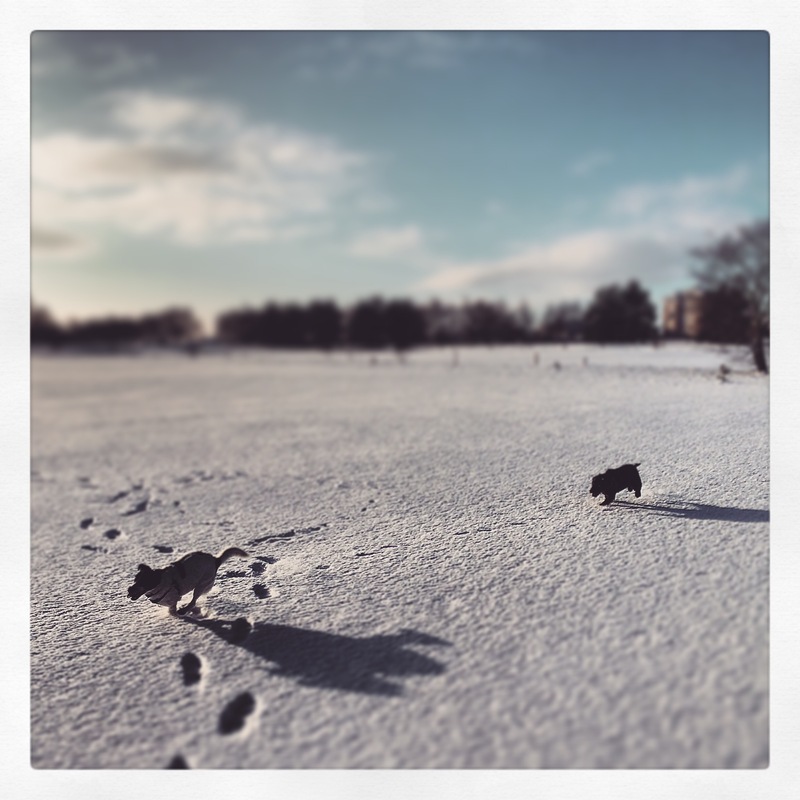 They loved it and spent ages racing around, sniffing and just generally playing in the snow. 7. I ran up a quick zippy top yesterday afternoon. I’d been wanting to use this fabric since it arrived, and I love the colours and pattern ~ it’s birds, what’s not to love? I’m in disbelief at how quickly last week went, and am hoping time slows a little now. I have plans for sewing, lots of winter walking and of course relaxing, as well as tidying the house up and preparing for Spring Term. I’m also considering my New Year’s resolutions, and trying to choose some specific to sewing…any suggestions? I agree – it came and went faster than ever! As for resolutions; how about you take items from your wardrobe that you never seem to wear and alter/embellish them into something you will wear? Should also save some money at a time of year when we have none left!!! Can’t believe where the time’s gone either! What pattern did you use for your top? Looks lovely: simple might be where I’m at for a while… Snow pictures are great. We’ve had lots of frost, but it only snowed once and didn’t really stick for long. 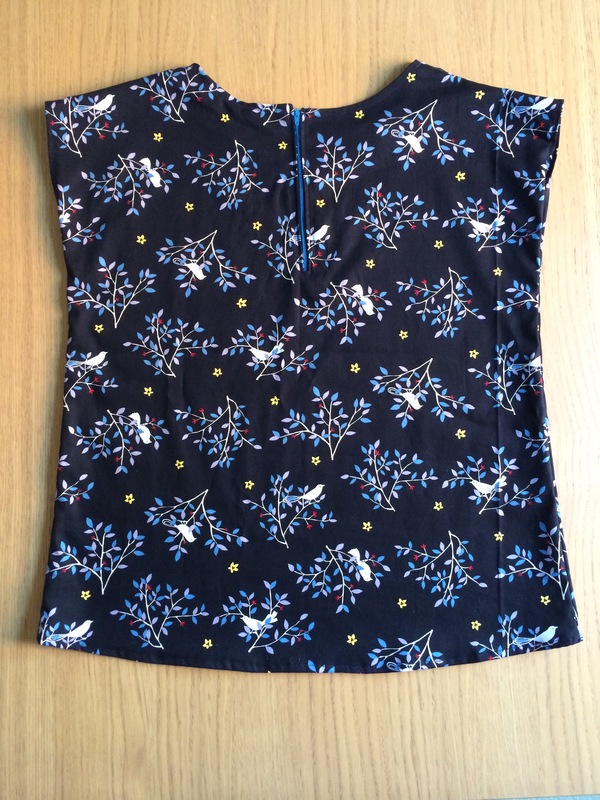 Thanks 🙂 It’s a Zippy Top from See Kate Sew – I’ve inserted the link now, but it’s http://seekatesew.com/the-zippy-top-is-here/ if you want to take a look! It’s fun, quick and easy to make, and nice and wearable for home or work.